This is the sixth post in our series ahead of the UN Summit for Refugees and Migrants, 19 September 2016. The full series covers several key aspects of migration: from governance and health, to environment and culture, to development and forced migration. A round-up post will follow shortly after the summit. 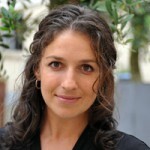 Read the first six posts here on the UNU Migration Network. It’s time that we get serious about development — and really ‘put our money where our mouth is’. For far too long we, in powerful countries and across the development community, have talked about what can be done to help less developed countries and peoples. The only thing is that we never really get serious about it. We’re like the people who always make the New Year’s resolution to lose weight: we join a gym, go once and then decide it is too uncomfortable and give up. You can roughly equate this to our failure to fully achieve the Millennium Development Goals. Michael Clemens, from the Center for Global Development in Washington DC, has spoken at length about our ‘everything-but-labour globalisation’: whereby goods and services can move relatively freely but people cannot, and how this hinders development. In short, the world is highly unequal. Because of where I was born, I am able to travel the world relatively freely and take advantage of occupational opportunities wherever I see fit; I do not need visas to enter many countries and getting a work or residence permit is much easier for me than people coming from less developed countries. This is a luxury for the few. Sometimes it is difficult to get visas for migration specialists from developing countries to attend conferences in developed countries – quite an ironic juxtaposition. So we end up having migration and development conferences with little attendance from our colleagues from the Global South because they were unable to enter the countries where the meeting was taking place. For real development to happen in origin and destination countries, this has to stop. The case has to be made for a revised set of global policies on human mobility. Why do (developed) countries have such a hard time doing what needs to be done? First, there is often a misunderstanding – or even a wilful ignorance – about the linkages between migration and development. 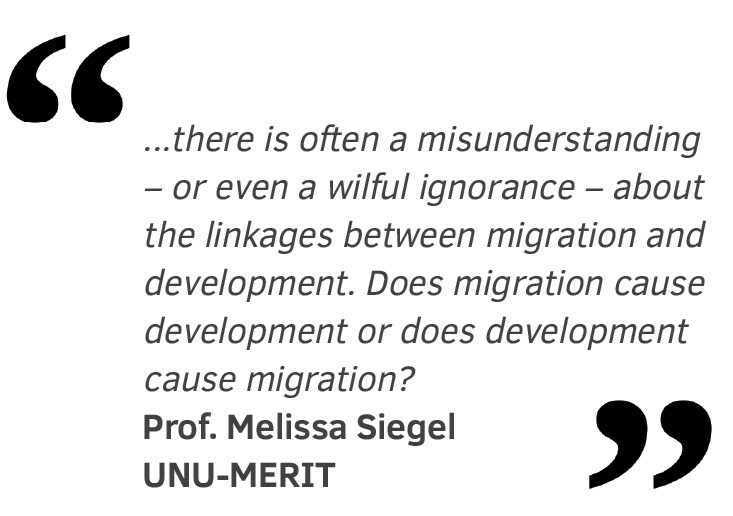 Does migration cause development or does development cause migration? Profs. Hein de Haas and Ronald Skeldon have been discussing this dichotomy for some time. In reality it’s a two-way process. As a country develops, more people migrate because they have more means to do so, while other countries demand more skilled labour. What’s also clear is that once a country develops enough, we’re no longer worried about their people migrating. I’m an American living in the Netherlands. Migration from developed countries has not stopped – we just change our language and thinking about this type of migration. We suddenly start talking about expats, the highly skilled, the global race for talent – and then we’re begging these people to enter our countries. So development does not stop migration, it just changes how we perceive it! The UK, a country that had a very heated discussion about migration in the last year, was the 10th largest source of migration in 2013. It’s time for a change. There’s a clear opportunity to make headway in September at the UN Summit for Refugees and Migrants. The draft outcome document for the meeting has potential because it places migrants and refugees at the centre of the 2030 Agenda for Sustainable Development. But what exactly does that mean? The draft outcome document moves in the right direction but in many places does not go far enough and at times the document seems to perpetuate the idea that development will stop migration. For instance, paragraph 12 states “we will address movements caused by poverty, instability, marginalization and exclusion and the lack of development and economic opportunities, with particular reference to most vulnerable populations”. This sounds like: let us help them develop so they do not migrate. The outcome document aims to put a process in place that will evolve over the coming years. Let’s just hope this doesn’t take too long. There is still an opportunity but this will require strong leadership and well-thought out policies. So will states and policymakers be willing to make unpopular decisions – i.e., the right decisions? Are we finally going to lose those extra kilos or are we still going to be eating cookies on the couch after the UN Summit on 19 September 2016? The opinions expressed in this post are the author’s own and do not necessarily reflect the views of UNU.